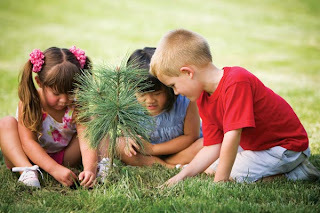 Most children know some facts about the environment: they know recycling is good, they know pollution is bad, and they know we need to take care of the Earth if we want to continue living on it. What they may not know is why recycling is good, how bad it could be if we didn't do it, and what other problems there are on the planet that could lead to actions as important as recycling. To give some context we have compiled a list of 50 facts and tips about green living and environmentalism for kids. These are meant to give everyone a fresh perspective of our world and exactly what it means to be green! 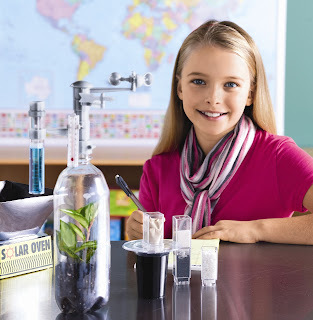 Hopefully, with the help of our kids, we will be able to turn all of our bad environmental practices into good ones. The average North American uses 700 lbs. of paper a year. 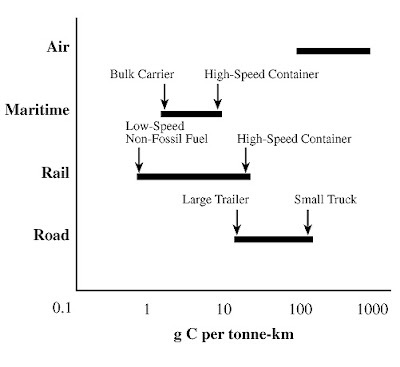 This equals approximately 465 trees per person, just for paper! Learn more. 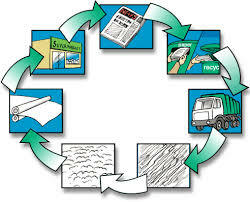 Recycled paper only creates 25% of the pollution that new paper creates when making it into new products. Learn more. A glass bottle will take 40,000 years to decompose if it’s not recycled. Learn more. Recycling a single aluminium can will save enough electricity to power a TV for three hours. Learn more. The United States throws away enough iron and steel to supply all auto-makers continuously. Learn more. Recycle your newspaper. The Sunday edition of the New York Times takes 75,000 trees to print. Learn more. In 1993, the United States had more paper recycled than was thrown into a landfill, the first year this landmark ever occurred! Learn more. Recycling a single glass bottle will save enough energy to power a light bulb for four hours. Learn more. 1987, California began a beverage container recycling program. Today, they have recycled over 120 billion bottles and cans, enough to circle the Earth 375 times! Learn more. Plastic take 450 years just to begin decomposing. It takes another 50 to 80 years to be completely decomposed. This also means that every single piece of plastic even made has not even started to decompose. Learn more. It only takes 25 recycled plastic bottles to make a brand new fleece jacket. Learn more. Enough steel and tin cans are thrown out daily in the United States to make a pipe from Los Angeles to New York, twice. If a tenth of these cans were recycled, it would equal 3.2 billion cans recycled each year. Learn more. Only 1% of plastic shopping bags are recycled. Learn more. Most plastic bags they go into landfills do not stay there. They are caught by the wind and enter trees, oceans, and other parts of nature. Learn more. When a newspaper is recycled, it takes only seven days from to become a brand new newspaper! Learn more. All newspapers in the United Kingdom at 100% recycled paper. Learn more. 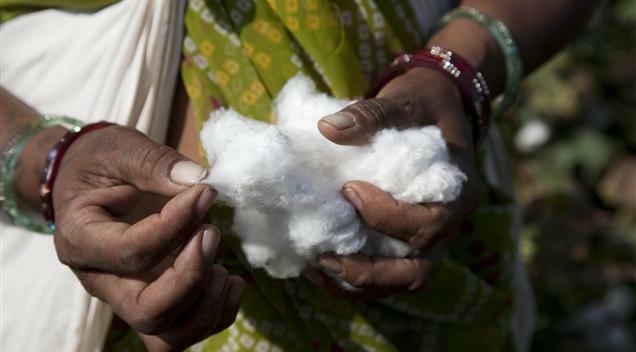 Many clothing companies now use recycled materials in their clothes. Check their labels to see if you’re buying clothes that were once something else! Learn more. Just because you’re finished with a toy doesn’t mean that another kid won’t enjoy it. Donating your old toys is a great way to save the environment and make another child happy. Learn more. In one person’s lifetime, using a cloth bag will save over 22,000 plastic bags! Learn more. Just because you stopped wearing old clothes doesn’t mean that someone else can’t benefit from it. Donate you old clothes that are still in good shape to a shelter or charity. Learn more. The zinc in old cellphones can be used to build ships. Learn more. Your old video game consoles have gold. 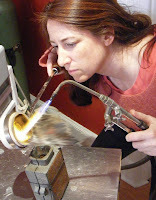 They can be recycled into new jewellery and other fine items. Learn more. 40% of drinking water comes from plastic bottles. Learn more. The Earth’s surface is 70% water, but many people go without access to fresh water every day. Turning the faucet off when you’re brushing your teeth and taking quicker showers will use less water and leave more for others to use. Learn more. 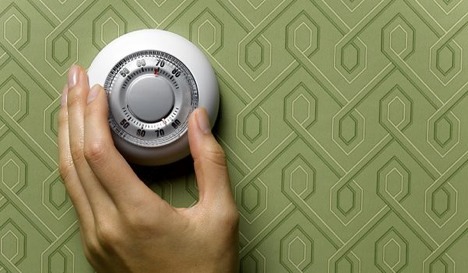 Turning your home’s thermostat down by a single degree can save your family 8% in heating costs. Learn more. Using energy efficient appliances can save enough money from less electricity usage that it can pay for the entire appliance! Learn more. Every three months, people in the United States throw away enough aluminium cans that they could rebuild all the airplanes in the country. Learn more. 13 billion plastic bags are made every year, about 300 per adult. Use cloth bags to help reduce the number of plastic bags made. Learn more. By recycling paper and cardboard, the United Kingdom is able to save 11 million tonnes of greenhouse gas emissions from ever being created each year! That equals the exhaust of 3.5 million cars! Learn more. For every tonnes of paper recycled, 17 trees are saved. Learn more. Paper bags are not really better than plastic bags. Approximately 14 million tress are cut down each year for paper bags. Remember to use your cloth bags! Learn more. The state of California spends $300 million just on cleaning garbage from their beaches. Try to do your part and pick up after yourself! Learn more. 1.6 billion people do not have access to electricity. Learn more. 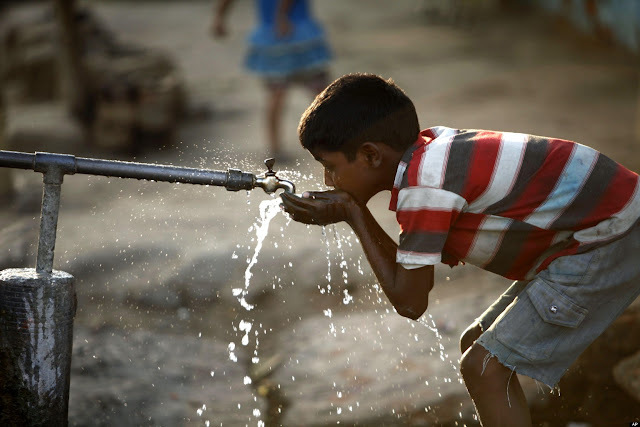 2.5 billion people do not have access to proper sanitation. Learn more. Almost 1 billion people don’t have enough to eat. Learn more. The United States generates enough garbage each year that the garbage trucks used would stretch halfway to the moon. Learn more. Food scraps and other organic garbage creates methane, a greenhouse gas 20 times stronger than carbon dioxide. Learn more. The United Kingdom uses enough paper each year to deforest an area the size of the country of Wales! Learn more. Remember to Reuse, Reduce, and Recycle. There is a reason we say these in this order. We always want to reuse things first. If we can’t, then we try to reduce what we use. Recycling is the final step where we give out old things to someone else to make new things. Learn more. 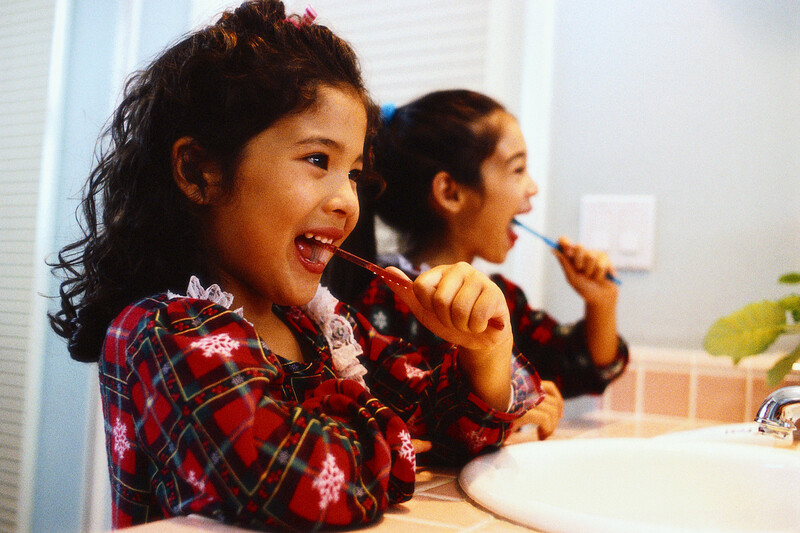 Turn off the water when brushing your teeth. The more people who turn off water faucets when not in use, the more water there is for emergencies. Learn more. Turn of lights when you leave a room. If no one is in a room, there is no reason for a light to be on. Learn more. Play outside. Video games and computers use a lot of energy and have you sitting all day. Be active outdoors and use less energy, have more fun, and be more fit! Learn more. Print on both sides of the paper when using your computer’s printer. You will only end up using half the paper you normally do! Learn more. A child will create 67 lbs. of garbage per year just from using a disposable lunch. Make your own lunches from home using reusable containers. Learn more. 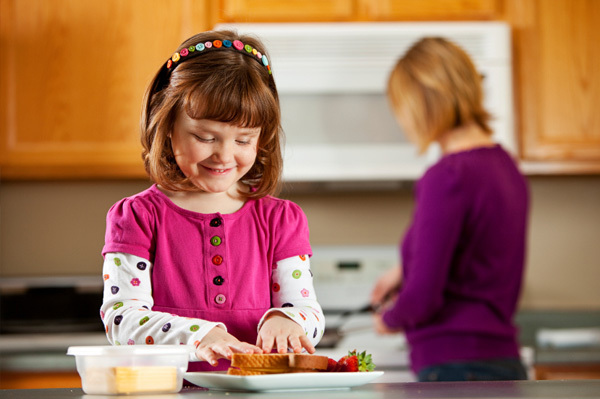 For your school lunch, use a reusable lunch box and thermos. Wash it at night and its ready to go for tomorrow! Learn more. 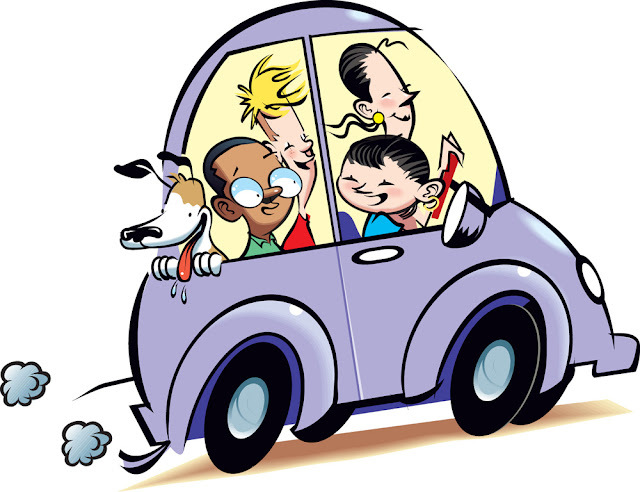 Carpooling to school, extracurricular activities, and friends’ houses will lower greenhouse gas emissions from vehicles. Learn more. Start being a green kid now. The habits you create will last as you grow up into an adult. Learn more. Use a compost. 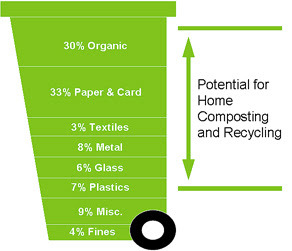 Over 30% of all garbage thrown away could go to better use in composting. Learn more. On average, people buy three new electronic devices each year. Remember to recycle or sell your old devices instead of throwing them in the garbage. Learn more. With summer officially upon us many of us are thinking of our next travel adventure. When booking your great escape, take a moment to consider your vacation’s environmental impact. With sustainable travel a rapidly growing industry there are ample resources for travellers seeking ways to trek lightly. Here we outline easily implemented yet valuable steps to reduce your ecological footprint, whether touring a remote island or relaxing in your own backyard. Before heading off on your trip unplug appliances to reduce Standby Power, energy used when appliances are in standby mode. (Global Standby Power consumes up to 480 TWh/year, nearly triple Mexico’s total electricity consumption.) Turn off or lower thermostat and water heater settings and suspend newspaper delivery. Such measures will help you save energy and money. Lastly, leave pets at a shelter or with a sitter. Vacationing need not be distant or exotic to be memorable and fun. “Staycationing” is the easiest way to save money and the environment. 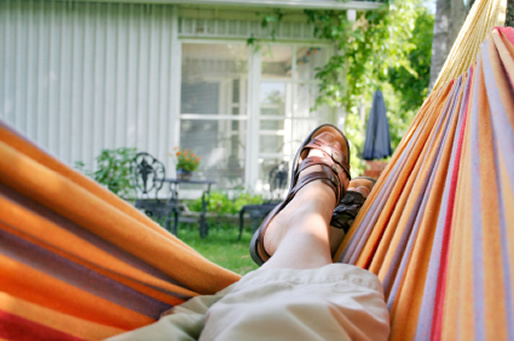 By vacationing within driving distance and overnighting at home you not only support your local economy and save money on accommodation but also help the environment by reducing your carbon footprint. In selecting accommodation, look for certified green hotels that carry Green Seal, LEED, Blue Flag or equivalent designation. Holiday Inn Express & Suites in Saint-Hyacinthe, Quebec provide a visual breakdown of criteria that make them LEED certified. Travel websites like Travelocity maintain a directory of certified green accommodation and multiple ecotourism websites like the Rain Forest Alliance, Green Globe and Sustainable Travel International list earth-friendly tour operators and travel companies. While staying in a hotel there are several simple steps to you can take to reduce your footprint. Be active in your hotel’s environmental conservation program. 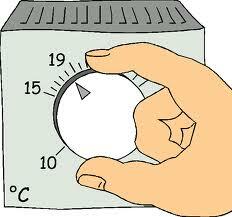 When out the room, turn lights off and lower your room’s thermostat. Close drapes and blinds in warmer climates to keep the room cool and the opposite in cold climates. Leave unopened bathroom amenities in the hotel. Conserve water by turning off taps when not in use and taking shorter showers. Hand wash clothes in the bathroom sink and hang to dry. Many hotel bathrooms include retractable clotheslines mounted between bathtub walls for this express purpose! When shopping for souvenirs buy locally produced goods and avoid goods made from endangered species or valuable, historical or cultural artifacts. Local, sustainable tourist activities support the environment and local economies. Visit farms, participate in guided walking tours or wine tasting, hike local park trails or take a cooking class. Gather activity ideas from travel guides like Lonely Planet that are available in digital format and use digital maps or applications. 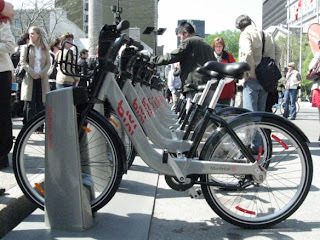 As much as possible self-propel: walk, rent a bicycle, or support a community bike-share program like Bixi. Alternatively, use local public transit systems, many of which now have real-time schedules available via mobile app. Reduce plastic waste by carrying a reusable water bottle. Use local recycling facilities and carry trash until you can properly dispose of it – i.e. pack out what you pack in! Stay on marked trails when hiking or camping and refrain from disturbing local flora and fauna. Regardless of your destination be mindful of your impact both culturally and environmentally. Seek to educate yourself on local traditions, practices, and culture and environment; limit any negative impacts you may have on the local environment. 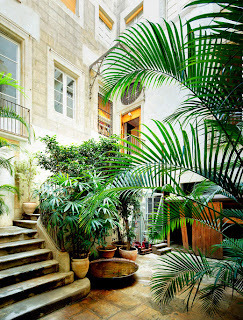 Practicing any of these simple measures you will easily have a fun, memorable and sustainable vacation. Happy travels! As people become more aware of our changing environment and their part within it, the interest in information and facts on environmental and green issues has grown. We have put together a list of 50 such facts, titbits, and pieces of information. We hope that you will enjoy learning about our world, the environment, and how we all interact with it! The global area of oxygen depleted dead zone now covers an area roughly the size of the state of Oregon. These are areas of water that have become uninhabitable due to a lack of oxygen for marine life to breathe. Learn more. The air quality in China is so low that by European Union standards, only 1% of the population is breathing air that is considered safe. This has led to cancer becoming the main cause of death in China. Learn more. The Pacific Ocean is home to various island chains, the Great Barrier Reef, beautiful resorts … and the Great Pacific Garbage Patch. 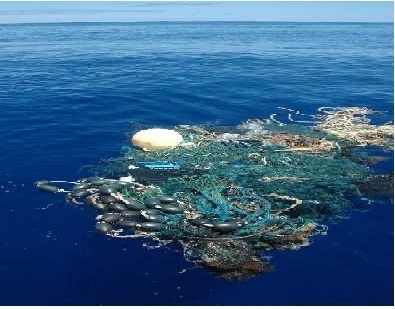 This is a mass of waste and garbage that has formed, covering an area twice the size of the continental United States and weighing an approximate 100 million tons. Learn more. In the last 100 years, ocean levels have risen by almost 18 cm. They had not changed previously in over 2,000 years. Learn more. There are many clothing material alternatives today. Cork has been used as a leather alternative, bamboo grows quickly enough to replenish itself, and silk made from soy is being used in high fashion. All of these use no chemicals and are renewable material resources. Learn more. For every organic cotton t-shirt you purchase instead of a normal manufactured one, you help eliminate the need for 150 grams of agricultural chemicals. Learn more. The best estimate of the age of the Earth is 4.6 billion years. If this was scaled into 46 years, humanity would have only existed for 4 hours. The Industrial Revolution would be 1 minute old. It is in this minute where the majority of environmental damage has occurred. Learn more. Environmental damage is, for the most part, reversible. It requires awareness and a desire to actually realize change. It also requires time. Learn more. Changing 75 light bulbs to energy efficient bulbs will prevent 1 ton of carbon dioxide from entering the atmosphere annually. Learn more. 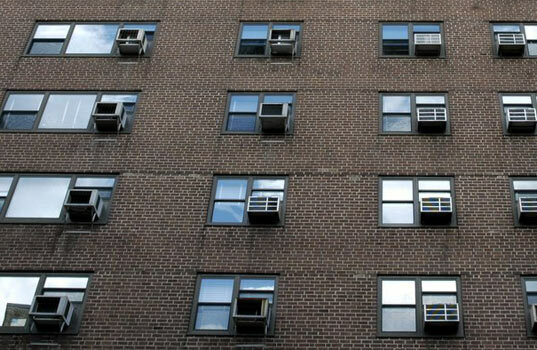 Roughly over 15% of electricity used in the United States goes towards air conditioning. Learn more. Canada contains 25% of the world’s wetlands, 10% of the world’s forests, and 7% of the world’s renewable fresh water. Learn more. Only 11% of the Earth’s surface is used for growing food. 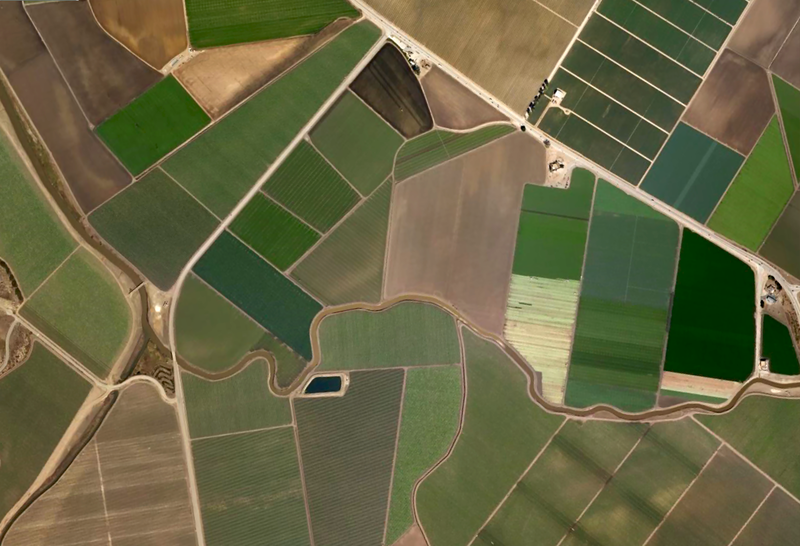 The land available for food growing is decreasing. Learn more. 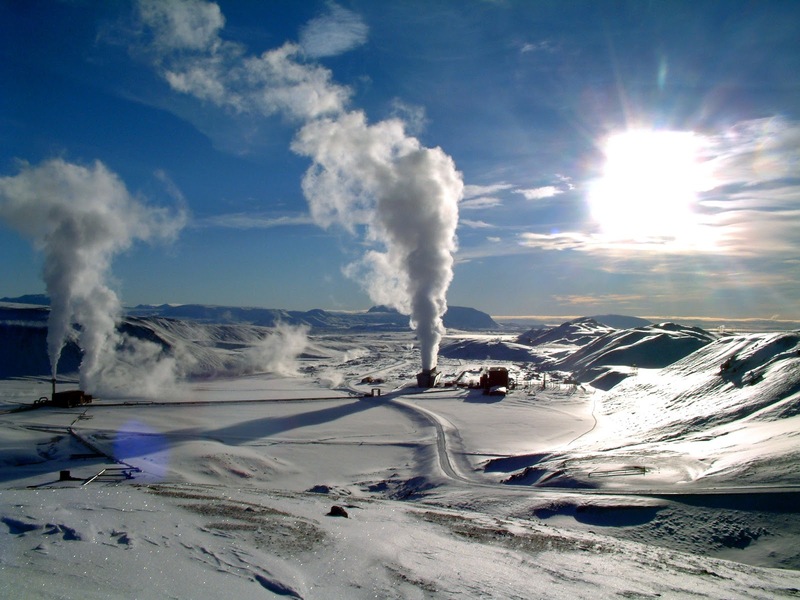 If Australia tapped into only 1% of their potential geothermal energy, they could provide enough energy to last 26,000 years. 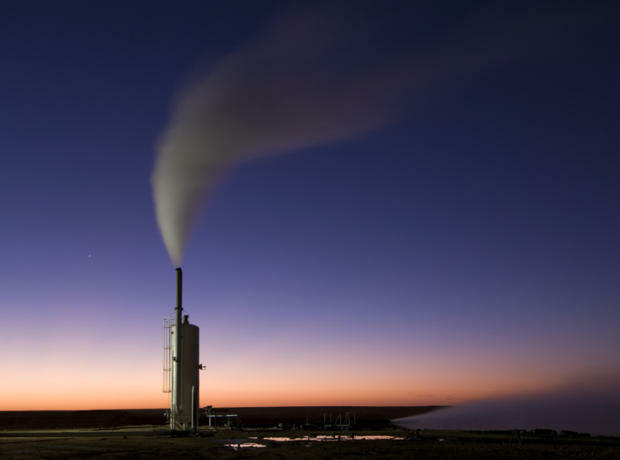 The Australian Geothermal Energy Association is hoping to produce up to 2,200 MW of geothermal energy by 2020, representing over 40% of the government’s renewable energy target. Learn more. 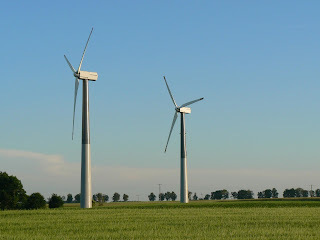 The United States is building enough wind turbines to provide 20% of their energy requirements. Learn more. 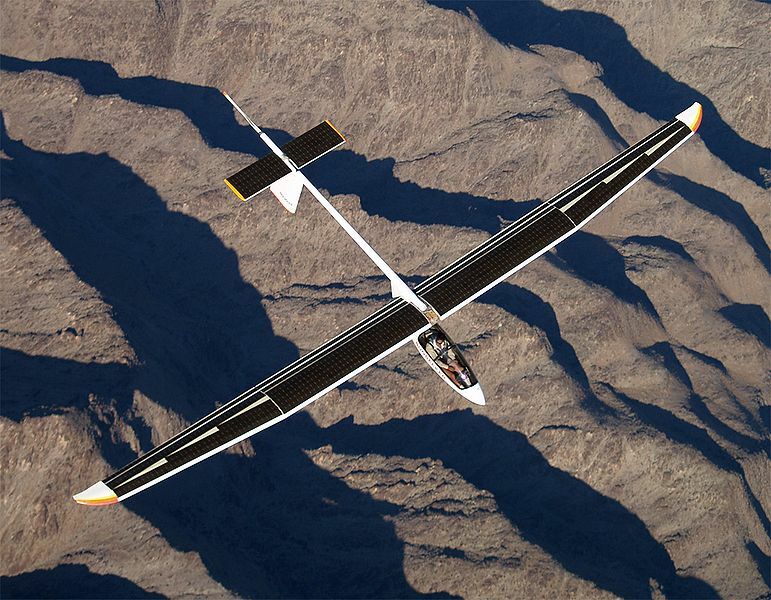 In 1990, history was made when an aircraft flew across the United States with no fuel. It was a solar powered aircraft and required 21 stages to complete the flight. Learn more. The use of nuclear energy has increased in the United States. Fifty years ago, there were no nuclear power plants. Today, more than 20% of America’s electrical energy comes from nuclear energy. Learn more. The United States is planning to double energy efficiency by 2030. This will equal a savings of $327 billion. Learn more. If the United States is able to achieve their double energy efficiency goal, carbon dioxide emissions will decrease by 4 billion metric tons. Learn more. Some countries are making big changes. Iceland is on the path toward zero fossil fuel usage by 2050, Switzerland has some cities that are carless, and China has been able to lower their plastic bag usage by 50%. Learn more. By signing up for a 100% renewable energy plan, you will avoid pumping more 7,250 kg of carbon dioxide into the atmosphere each year. Learn more. Hydropower is relatively cheaper than most other forms of energy. Washington State in the United States gets 66% of their electrical energy from hydro and has one of the lowest costs for energy in the country. Learn more. The screensaver on your computer’s monitor is not an energy saver. Put your computer into a sleep mode when not in use. 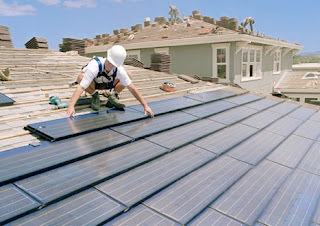 This will save up to 500 kW per year from your home energy bill. Learn more. For every 1 MW of increased wind energy capacity, 4.85 full time jobs are created in clean renewable energy. Learn more. The greatest source of renewable energy in the United States currently comes from biomass. Approximately 1.5 million homes are powered by biomass. Learn more. 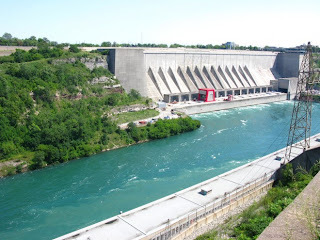 The first hydroelectric dam built in the world was in Niagara Falls, Canada. It was constructed in 1879. Learn more. One of the first known uses of solar energy was by British astronomer John Herschel. In 1830, he used a solar collector box to cook food while on an expedition in Africa. Learn more. 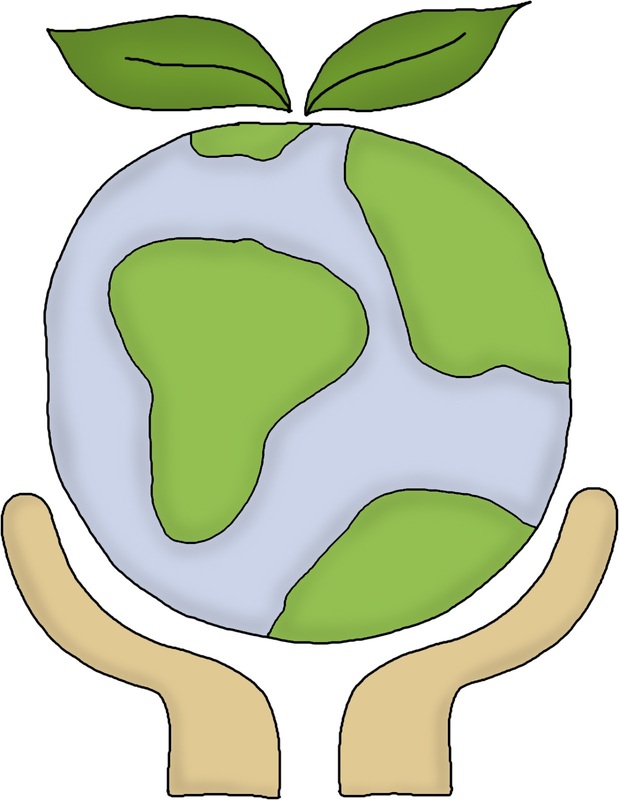 One ton of recycled paper saves 17 trees from being cut down, 2 barrels of oil, 4,100 kW of energy, 3.2 cubic yards of landfill area, and 60 lbs. of air. Learn more. Paper can be recycled up to seven times before the fibres are too soft. Learn more. 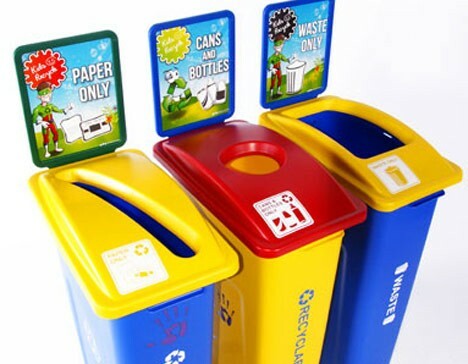 Kitchener, Canada was the first city in the world to create a curbside recycling program for their citizens. It began in 1981. Learn more. Per capita generation of waste has decreased in the United States since 1990. Learn more. If every newspaper was recycled, 250 million trees could be saved each year. Currently, only 27% of newspapers are recycled. Learn more. Over 75% of the materials used to make a car are recyclable. Learn more. Guess what? Most mail delivery services will take old packing peanuts for reusing. Office supply stores will also take old printer ink cartridges and refill them. Two more things removed from your garbage! Learn more. Your old glasses can be donated. 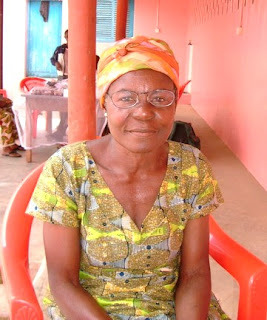 Many charities take old glasses and send them to developing nations. More than 284 million people who need glasses cannot afford them. Learn more. Reuse our old ink cartridges by taking them to centres to be refilled. A ink cartridge will take over 1,000 years to decompose in a landfill. Learn more. The bailout packages for Wall Street cost an estimated $700 billion. It would take only 4% of this total to end world hunger. Learn more. It is estimated that $3 trillion would pay for universal healthcare for all Americans, the entire country switching to solar power, a national rapid transit system, pollution clean-up in all major urban centres, a push to universal literacy, completely repairing all damage left by Hurricane Katrina, creating global training programs for 10 million leaders around the world, and paid for clothing and school supplies for 10 million children. The cost of the Second Iraq War is conservatively estimated to be $3 trillion. Learn more. For every $100 billion invested transportation and green industries, the economy will expand roughly $160 billion in annual outputs and create just under 1.2 million jobs. Learn more. An American government study found that medium-sized retail buildings could easily achieve 50% more energy savings. This would account for 18% of the entire United States’ energy usage. Learn more. If Americans used public transport at the same levels as Europeans, roughly 10%, the United States would reduce its dependence on foreign oil by over 40%. This equals 550 million barrels of crude oil. Learn more. North America has 4% of the world’s population. They use 25% of the world’s resources. Learn more. The first Earth Day was celebrated on April 22, 1970 by approximately 20 million people. Today, more than 1 billion people recognize it. Learn more. Albert Einstein’s Nobel Prize in 1921 was for his work in photovoltaic, a science that has led to the entire solar energy industry. Learn more. 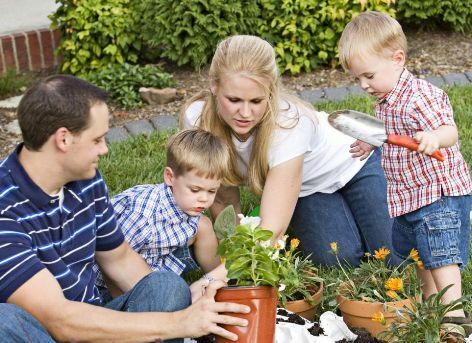 Certain household plants can do great things for the environment of your home. 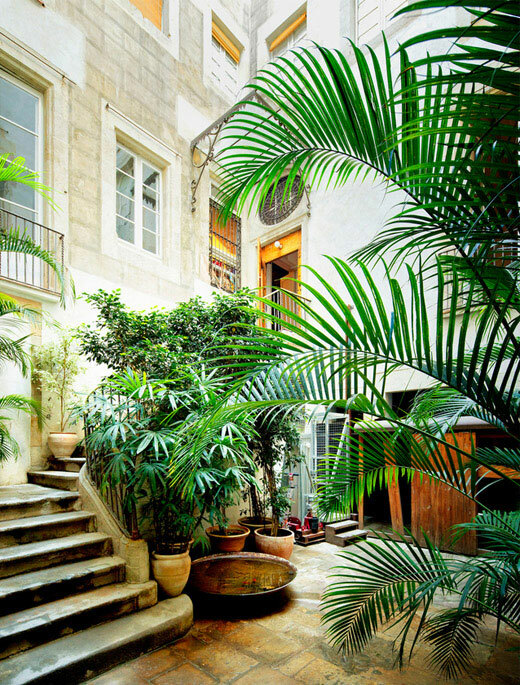 Aloe vera, lillies, Chinese evergreens, and bamboo will filter out most toxins in the atmosphere. Learn more. Use high R-value insulation in your home. The higher the R-value, the better your home will be insulated and the less money spent on heating and cooling bills. Learn more. Use lighter colours on your exterior roof. This will reflect the heat of the sun as opposed to absorbing it as darker colours do. This will lower energy bills and help you to use less energy. Learn more. Use a reusable mug when buying coffee or other drinks. Over 8 billion disposable cups are thrown out in Canada every year. Learn more. Shower instead of bathe. In a week, you can save up to 400 litres of water. Learn more. Being environmentally conscious can start at any age. 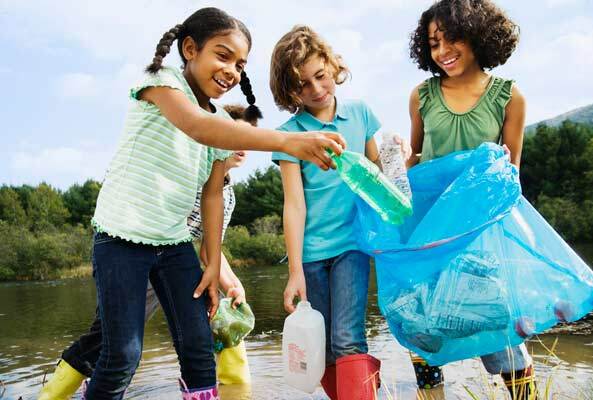 Get your kids involved in recycling and reusing in order to instill behaviours that will last a lifetime. Learn more. A baby will use approximately 10,000 disposable diapers in their life. Cloth diapers are reusable and remove the need for disposable ones. Learn more. Incinerating 10,000 tons of garbage creates a single job. Putting 10,000 tons of garbage into a landfill creates 6 jobs. Recycling 10,000 tons of garbage creates 36 jobs. Learn more. E-Waste: What is it, and what do we do with it? When humanity entered the Information Age, it was heralded as the end to paper waste. Everything would be electronically created, storage, shared, and viewed. Computers, the Internet, wireless, and the mass of new technology was going to remove the need for this kind of waste. What wasn’t thought of was the new kind of waste that was going to be created as obsolete or broken down electronics and gadgets became replaced by the next version. 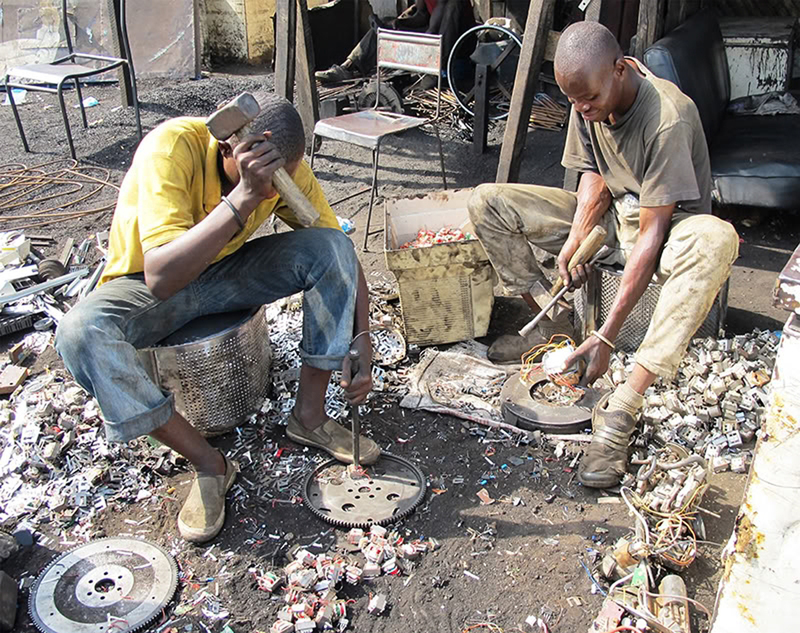 E-waste has become a growing concern for most nations. Landfills have become filled with our old computers, cell phones, printers, iPods, and other electronics that we take for granted. However, our experience in dealing with waste in general is showing that we are prepared to deal with e-waste so long as we are committed to doing so. Recycling programs, government initiatives, and social responsibility are leading the challenge in dealing with this by-product of evolving technology. Cell phones – replaced every 22 months. Desktop computers – replaced every 2 years. Televisions – replaced every 10+ years. Portable music players – replaced every 2-3 years. DVD players – replaced every 4-5 years. Printers – replaced every 5+ years. Every year, there is between 20 to 50 million metric tons of e-waste, representing the faster growing portion of municipal waste. 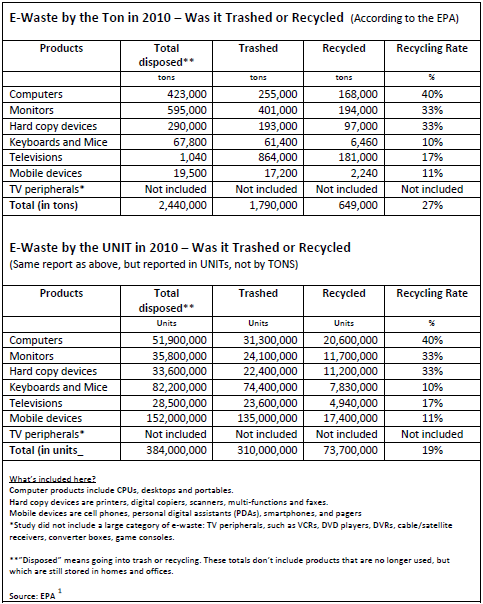 Historically, e-waste has contained many hazardous materials. 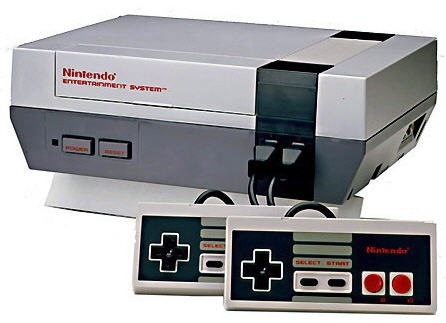 There was lead and mercury in old cathode ray tube televisions, cadmium in batteries, and the presence of hexavalent chromium, acrylamide, polybrominated biphenyls, and polybrominated diphenyl ether in many other electronics. In throwing such waste into landfills, these hazardous materials and chemicals can leach into the soil and cause significant and irreparable damage to delicate ecosystems. Our lives are centred around electronics. The average home will purchase $1,179 worth of electronics every year. To put this into perspective, approximately 5.1 million televisions were purchased in the United States for the sole purpose of being ready for the 2012 NFL Superbowl. Over 99 million televisions are stockpiled for sale in the United States at any given time. All of these will one day end up as e-waste. 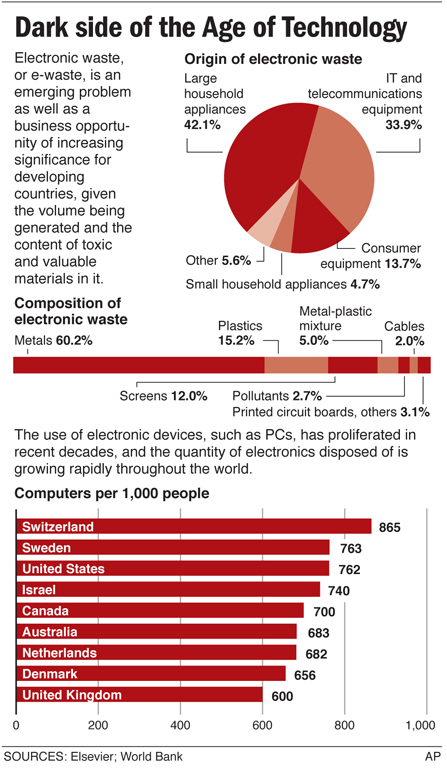 Initiatives to reduce the amount of e-waste the end up in landfills are underway. One of the driving forces behind this is the amount of expensive metals that are used in the construction of electronics that can be reused and sold. In 1 million cell phones, there is 24 kg of gold, 250 kg of silver, 9 kg of palladium, and 9,000 kg of copper. These are able to reused in new electronics, reducing the amount required to mine them. These metals are also commodities themselves, and are easily traded and sold as well. The reasons for reducing the amount of e-waste are many, from reducing the sizes of landfills, preventing hazardous materials from leaching into the environment, and creating businesses that harvest precious metals. First, it is important to note that many of our electronics are now manufactured with less environmentally damaging materials. The transition from CRT TVs to LED TVs removed the need for lead and mercury. Cadmium is no longer used in batteries (still in rechargeable ones) and hexavalent chromium and acrylamide and no longer used in any electronic manufacturing. Finally, flame retardant materials such as polybrominated biphenyls and polybrominated diphenyl have been phased out as safer materials have replaced them. This has massively reduced the amount of hazardous materials that leach into the soil from e-waster that does make it to the landfills. 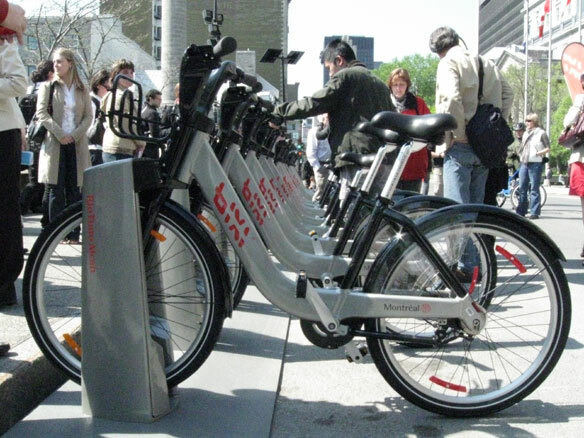 Canada has adopted the Federal Sustainable Development Strategy, a government initiative that amalgamates the efforts of more than 25 different agencies in combating environmental issues. Through this, the Electronics Product Stewardship Canada, a not-for-profit organization, has been created. It is currently operational in 7 different provinces with it pending approval in the 3 others. The territories currently have no plans for inclusion under this initiative. This has created a nationwide standard for e-waste recycling. In addition, several major municipal governments in Canada have passed even stricter bylaws to further remove e-waste from their landfills. This has led to direct cost savings for cities are landfill use is lowered. It is estimated that British Columbia has saved almost $24 million through their recycling programs and Ontario has saved more than $65 million. 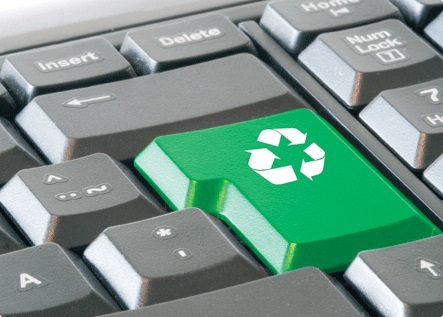 This has led to Canada becoming an international leader in e-waste management and recycling. 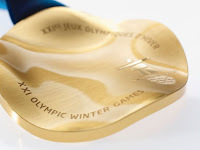 Even the 2010 Vancouver Winter Olympic medals were all made from recovered materials from e-waste! The reduction of e-waste begins with us. We must evaluate whether we really need that next generation cell phone now or if our current and still working one is good. Electronics that we are no long using can also be given to others to use, sent to recycling centres, or be donated to programs such as Computers for Schools or through partners of the federal Crown Assets Distribution. We all want new technology and electronics. However, we must be conscious in how we dispose of the ones we are no longer using. In doing this simple act, we can lower the amount of e-waste that makes its way to landfills and can extend the lives of electronic devices through donation or recycle them so that their materials can be used in the new gadgets that we want! 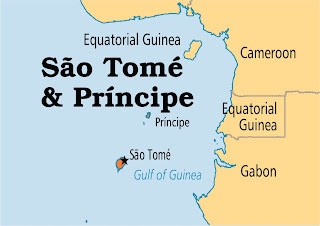 São Tomé and Príncipe is a small nation in the Gulf of Guinea off the west coast of Africa. Its name was given for the two main islands that comprise the country, the largest of each archipelago that it is made of. While such a tiny nation would not normally register for its green record, looking at what they have done to improve their environment shows that no country in the world is exempt from caring for it. 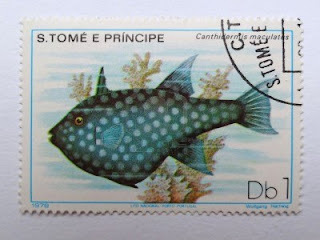 As a developing nation, São Tomé and Príncipe’s needs are different that those of Canada or Europe. However, they still strive for sustainability, economic growth, and cultural expression, just like any other. In pursuing this, they are working with other nations and organizations to ensure that their growth is not only economically sustainable, but that it is environmentally viable as well. This article seeks to explore the Small Island Developing State (SIDS) that is São Tomé and Príncipe and show how every nation is responsible for protecting this world. As a part of the National Poverty Reduction Strategy, São Tomé and Príncipe are working to reduce poverty by half and add annual real GDP growth of 5% per year. 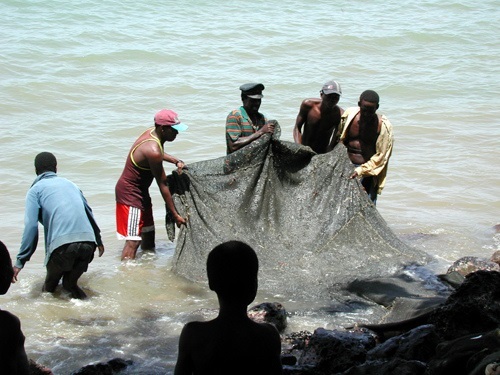 As a part of this, the African Development Bank has invested in São Tomé and Príncipe’s fisheries. 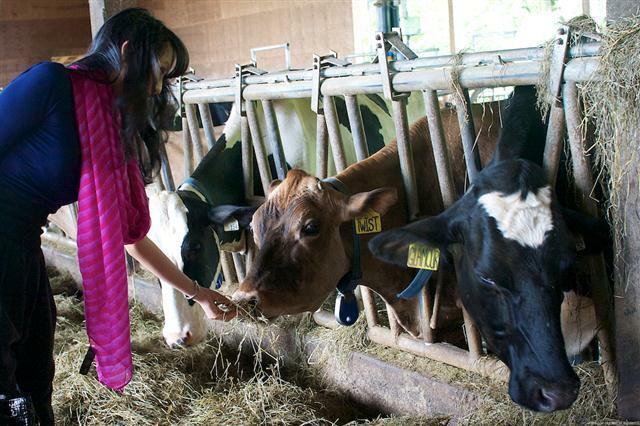 The goal is to reduce the food deficit in the country through sustainable practices that will ensure a lasting supply of food for the population as well as maintain environmental standards that will make it lasting. Ensuring proper disposal of waste and toxic liquids through controlled landfills and incinerators. Implementation of this plan is also a part of the island nation’s National Climate Change Adaptation Strategy, signed in 2005. 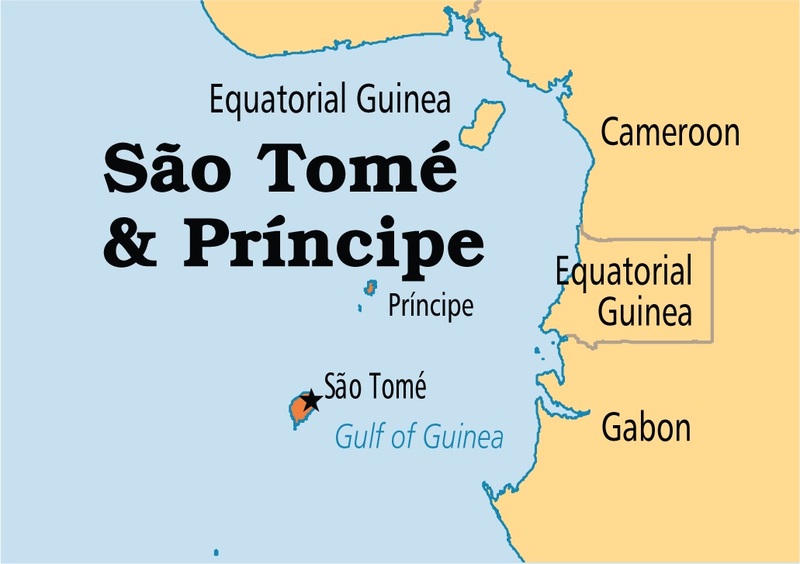 Much of São Tomé and Príncipe can be classified as coastal. 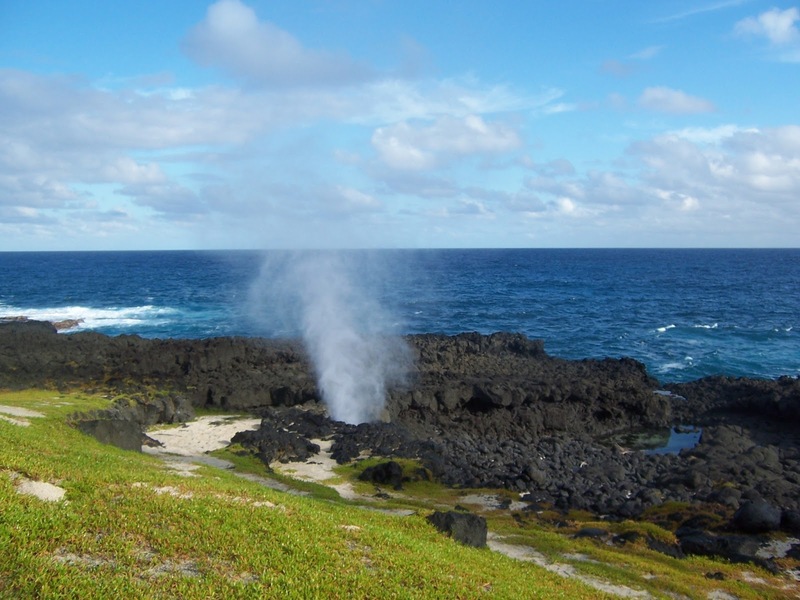 The country has a rich diversity of undeveloped coastal areas; however these are threatened by deforestation, coastal erosion due to mining, desertification, unregulated tourism development, and a general lack of township planning. There is also a newly emerging offshore petroleum industry that is growing and contributing to environmental concerns. This is why a National Ocean Policy has been proposed by the United Nations for São Tomé and Príncipe as well as all SIDS nations. This is important as continued erosion is damaging environments as well as tourism and fisheries development. To counter growing oil production, the government passed the Oil Revenue Management Law, which is now considered a model for other nations. Through the aid of the Earth Institute at Columbia University and the World Bank, a percentage of oil revenues are diverted to future environmental needs. This means that any offshore oil development must is required to contribute to environmental protection of the surrounding ocean area. The Rio Convention of 1992 deals with sustainable development on a global level in dealing with resource development. 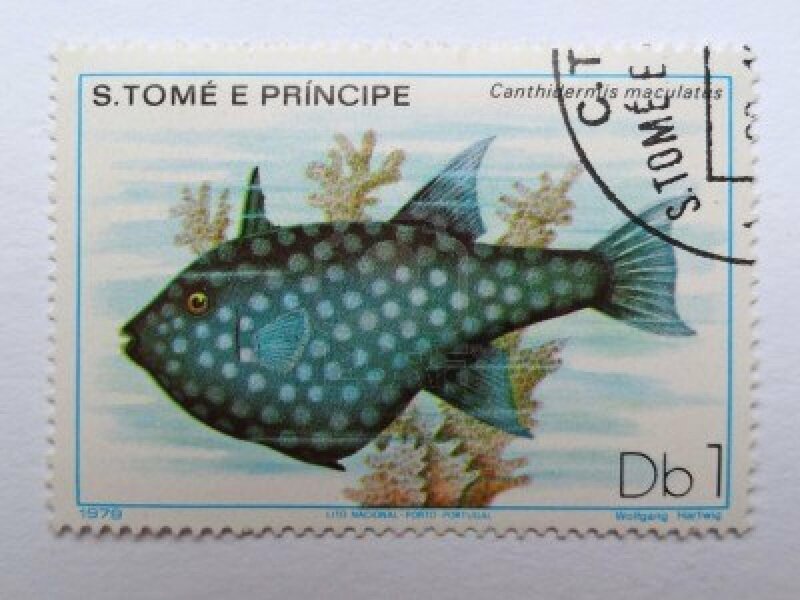 While non-binding, it has been used in the case of São Tomé and Príncipe to manage economic growth from natural resources in coastal areas while ensuring sustainability in the environment where it is being conducted. The 1994 UN Conference on Sustainable Development of Small Island developing states, held in Barbados, is also being used to establish programs that take into account coastal and ocean issues for any new construction development on the islands. This includes paying attention to coral reef habitats, wetlands, and life-support systems for marine wildlife. The United Nations Framework Convention on Climate Change (UNFCCC), Article 4.9, recognizes a classification of nations known as Least Developed Countries (LDCs). 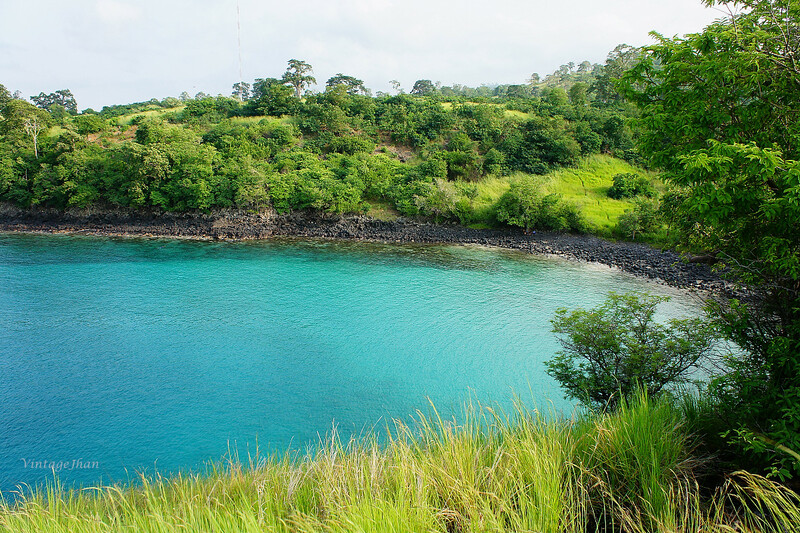 These nations, of which São Tomé and Príncipe is a part of, have special needs when it comes to how they are able to incorporate climate change initiatives while continuing to develop other areas of their country. Article 4.9 states, “The Parties shall take full account of the specific needs and special situations of the Least Developed Countries in their actions with regard to funding and transfer of technology.” The use of NAPAs in such nations enables foreign aid for adaptable changes that place an emphasis on climate variability. There are two NAPAs currently operating in São Tomé and Príncipe. 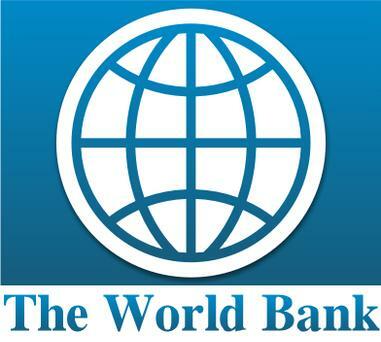 First, there is the Adaptation to Climate Change initiative that was begun by the World Bank. 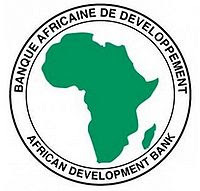 The second is the Strengthening of the Adaptive Capacity of Must Vulnerable Sao Tomean’s Livestock-Keeping Households, initiated by the African Development Bank. Key environmental vulnerabilities were outlined in six sectors: agriculture, forests and livestock; fisheries; public works, infrastructure and tourism; energy and water; health; and public safety and civil protection. By working on climate change initiatives as well as certain social areas, the goal is to improve both the environment and the standard of living. The UNFCCC is also coordinating their efforts, as well as those of the World Bank and African Development Bank, through the Poverty Reduction Strategy and the Rio Convention on desertification and biodiversity. Additional funding for these programs have also come from the Japan Adaptation Programme. It is important to note that this is only the beginning of the work that NAPAs wish to do in São Tomé and Príncipe. There are a total of 22 projects currently outlined for the island nation. 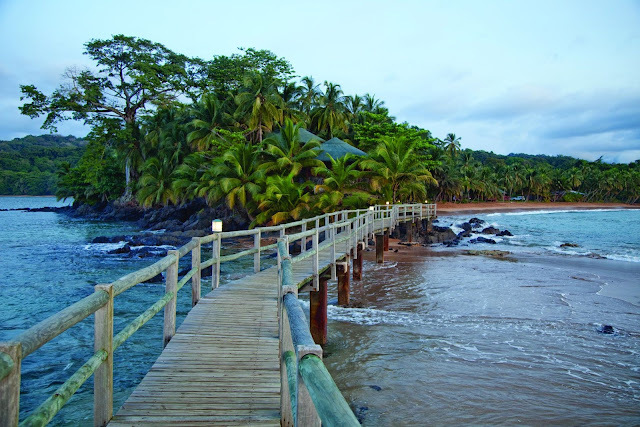 As a SIDS and LDC nation, São Tomé and Príncipe has severe restrictions on what it is able to accomplish environmentally. 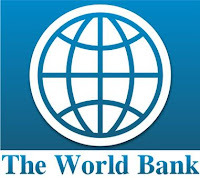 However, through external aid, such as the World Bank, the African Development Bank, and the United Nations, they have been able to implement new strategies and begin projects to ensure a higher standard of life, meet basic needs of the population, and do so through sustainable and environmentally sound methods. This environmental transformation is also helping economically as new and existing industries are strengthened and can have an environmentally sound future. *A trade-mark of Greencyclopedia Research Corp.